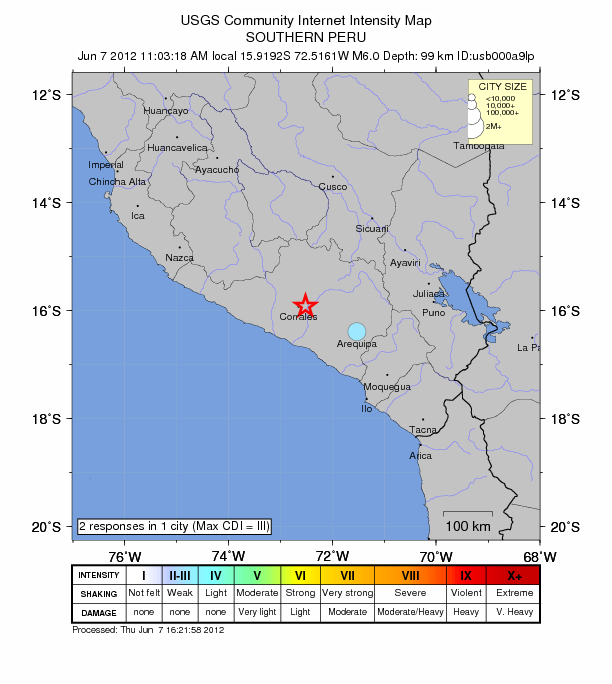 Strong earthquake with recorded magnitude of 6.0 struck southern Peru on June 7, 2012 at 16:03 UTC according to USGS. 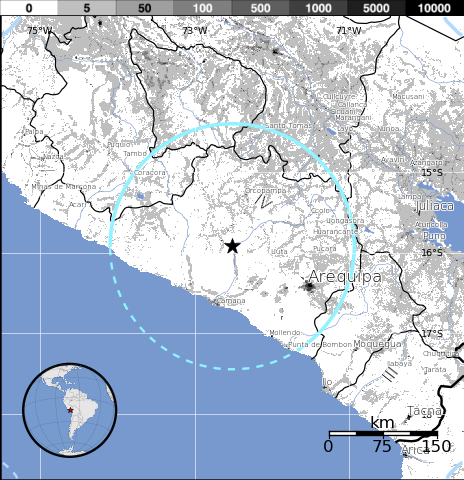 Epicenter was located 119 km (74 miles) WNW (298°) from Arequipa, Peru (15.919°S, 72.516°W). Recorded depth was 99.7 km (62.0 miles). EMSC is reporting 6.2 magnitude with depth of 80km. Selected Cities Exposed from GeoNames Database of Cities with 1,000 or more residents.